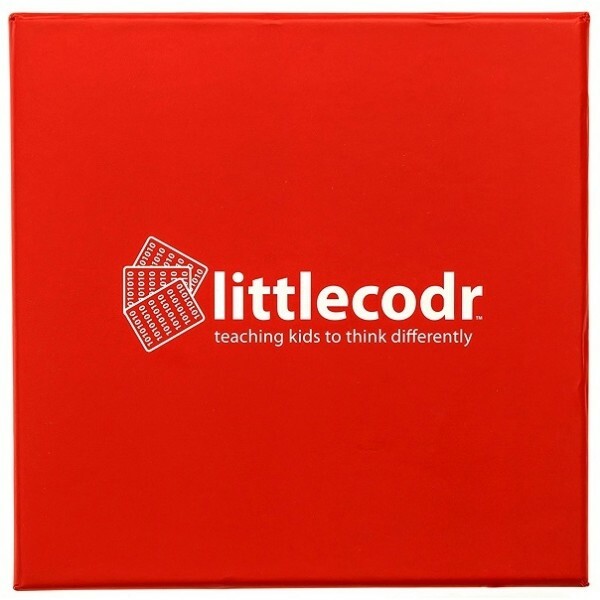 Littlecodr is an insanely fun card game that introduces code to kids! Using simple action cards, kids get to program their parents or friends to do crazy things while they learn concepts like coding and logic, linear thinking, prototyping and debugging. Crowdfunded on Kickstarter, this game is now introducing coding and computer programming concepts to kids all across the world. 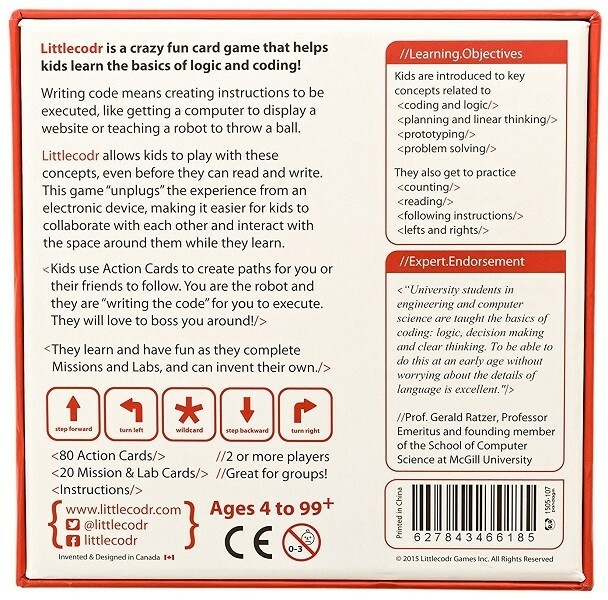 This game for 2 or more players includes 80 Action Cards, 20 Mission Cards, and instruction.